This course consists of units from our popular 14-hour course, Continuing Education for Florida Real Estate Professionals. 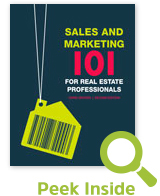 It offers timely and critical information to licensees in short, lively units, with interspersed practice questions. It describes the importance of ethics, morality, and fairness, as well as the National Association of REALTORS® Code of Ethics, which is an excellent guide for proper conduct for all real estate practitioners.